Welcome to DF Precision Inc.
Headquartered in Detroit, Michigan, DF Precision is an international metal forging company with over 20 years experience in the industry focusing on cold, warm and hot forging. 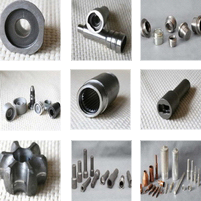 As a global industry leader for top-quality forged parts, we specialize in custom forgings and offer value added services through our 12 owned and affiliated ISO 9001 & ISO/TS 16949 certified factories in Asia. We have earned industry-wide recognition for our customer service, on-time delivery and exceptional quality.